We are excited to announce that Dr. Tricia McCabe will be our Keynote Speaker at the Pittsburgh National Conference in July. Dr. McCabe is a well-known, highly published researcher/therapist with a focus on CAS. 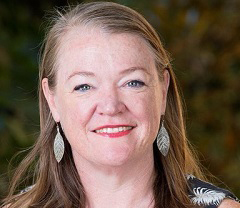 She is Head of Discipline and Associate Professor in Speech Pathology in the Faculty of Health Sciences at the University of Sydney in Australia. Dr. McCabe has been instrumental in developing the ReST Program which is evidence-based and targets multi-syllable word challenges. The talk of her Keynote is: “Turning CAS Research into CAS Practice – Thoughts for Parents and Professionals from Left Field.” We are certain that Dr. McCabe’s talk will be inspiring and just the right way to kick off our National Conference as we seek to “build bridges” not only across our local, state and national communities but also across our international communities. Click here to register for the Apraxia Kids National Conference!